Leadership is lifting a person's vision to high sights, raising of a person's performance to higher standard, building of a personality beyond its normal limitations. True Leaders always practice the three R's - Respect for self, Respect for others and Responsibility for all their actions. It is a matter of great honour for me to be the Head Girl of this highly esteemed institution for the session 2018-19. I would like to extend my heartfelt gratitude towards our Principal Rev. Sr. Leena and respected teachers for showing so much confidence in me. Being a student for 13 long years in St. Patrick's I can surely say it is the best institution to be in. It is the confluence of our guiding lights the Principal and teachers who burn themselves through their hard work to light the candles of Leadership. For me representing hundreds of students is certainly a privilege. I stand as a leader not just to lead anyone but to work in collaboration with everyone. I recognise that we need a spirit of discipline, optimism and enthusiasm that will carry us to our rightful place. I promise to work very hard with all my zeal, devotion and determination trying on my best and working persistently for the excellence of our school. So with the view that Leadership is all about transforming dreams into reality, I'll make sure that the ones entrusted to the cabinet is done to perfection. Leadership is not about title or designation. It's about impact, influence and inspiration. Impact involves getting results, influence is about speaking the passion you have for work and you have to inspire your team mates. 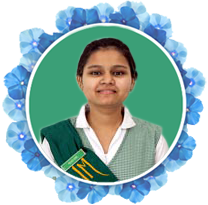 It's a matter of paramount honour for me to be the head girl of St. Patrick's Junior College for the session 2017-2018. I would like to thank our Principal Rev. Sr. Gracy Paul, the management and the staff members for thinking me capable enough for this prestigious post. Being a representative of around two thousand students, each with great potential is a huge responsibility which I will fulfill with utter sincerity and dedication. For me, St. Patrick's has been a home for 13 Years, every moment spent here has become another story to tell and every experience has made me the person who I am. I was told that leadership is not about how many times you stumbled and fell but how fearlessly you picked yourself up and carried on with life's journey. Thank you St. Patrick's for helping me to spread my wings and to reach greater heights. 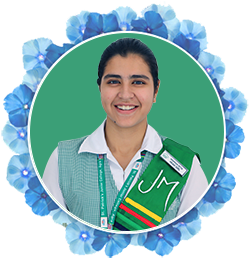 I promise that I will be responsible and retain the best possible conduct throughout the year and be the role model for my juniors and continue the rich legacy of Convent of Jesus and Mary. "One of the most important leadership lessons is realizing, you're not the most important or the most intelligent person in the room at all times." Very well quoted by Mario Batali, and bringing out the true essence of leadership. First and foremost, I feel blessed by being appointed as the Head Girl of this prestigious institution, and for this I am grateful to my Principal Rev. 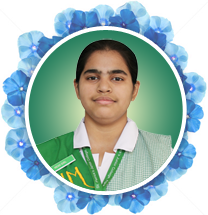 Sr. Gracy Paul, my teachers and the school management, for considering me competent enough to shoulder the responsibilities that come with this post. After being appointed as the Head Girl, I realized the gravity of this post. 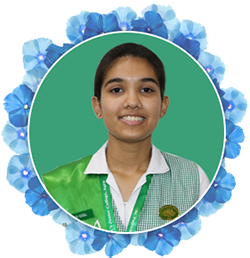 I assure everyone to work and perform my responsibilities diligently and to lead the Student Council unified, towards our mutual goals. Well, I believe leadership is about making others better as a result of your presence and making sure that impact lasts in your absence. And thus, to fulfill the above belief, I will put forward my best efforts. St. Patrick's has given me 13 glorious years of knowledge and learning, and now as this responsibility has been entrusted on my shoulders, I will try to fulfill my duties efficiently. And will continuously strive to add more laurels to our school's name. Leadership is all about creating a community which thrives on oneness, passion, confidence and integrity. 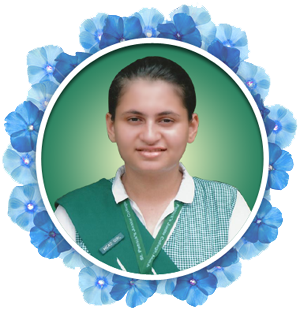 As the Head Girl of this prestigious Institution, I aspire to unleash the leaders, not only in me, but in each one of us. I also intend to harness the untapped potential, yet lying latent. I dream of heading the school as a team. We are one, our goals are one, our dreams & aspirations are one. Together, we can achieve great things. It is rightly said, “With power, comes great responsibility.” But, my power is not individual. It comes from the strength of my team mates, my cabinet members, my juniors, my teachers and my Principal. With their able guidance and constant support, I will be able to carry out our responsibilities to the maximum. I would like to extend my heartfelt gratitude towards my Principal Rev. Sr. Gracy and my teachers for finding me capable to take up this Herculean task. I thank my juniors for having faith in me. I thank one and all for entrusting me as the Head of the Cabinet. I thank God for giving me this opportunity and I pray that his blessings shall always be with us. May our School attain great heights. 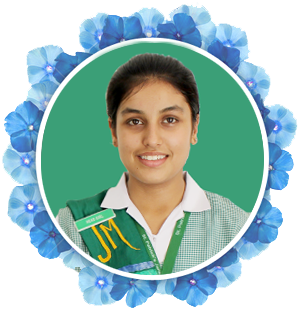 To be chosen the head girl of the prestigious institution St. Patrick’s Junior College is a great honor for me. I feel blessed and fortunate that our Principal reverend Sr. Greta, great and worthy teachers and the school management have considered me capable enough to shoulder this responsibility. Being a Head Girl is not just a ‘tag’, a ‘badge’ or a ‘sashay’ it carries an immense sense of responsibility an undeterred, commitment towards executing and fulfilling the duties, a desire to serve and a promise to elevate the name of our school to a higher position. Endeavour: - Whatever is worth doing at all is worth doing well. Endurance: - Victory belongs to the most persevering. Encounter: - Who knows nothing base fears nothing. Enterprise: - The word impossible is not in our dictionary. I Promise to put in the best of my abilities and to lead the School Council unified towards achieving the goals set by the School. It is not surprising for different members of a team to have dissimilar opinions but important is to look in the same direction at a common objective and progress towards it with an enthusiastic attitude, energy and determination. 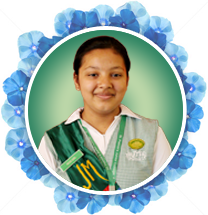 My sole objective will be to lead the school council to work towards raising the banner of our school higher and live up to the expectations set by the school for school council. I will be able to accomplish these tasks only under the able mentorship and vigilant guidance of our Principal reverend Sr. Greta, our teachers, with cooperation from Student Council and active participation of all the students of St. Patrick’s. I would strive with atmost dedication to serve our Alma Mater St. Patrick’s Jr. College. The challenge of leadership is to be strong, but not rude; be kind, but not weak; be bold, but not bully; be thoughtful, but not lazy; be humble, but not timid; be proud, but not arrogant; have humour, but without folly. With this perspective, I move ahead with the aim of serving my school with utmost diligence and devotion. As the Head Girl of this prestigious institution, I look forward to take my school to new levels of excellence in the field of education as well as sports. I will lead my school keeping in mind that the function of leadership is to create more leaders, not more followers. I aspire to bring some positive changes in the school, along with the entire school cabinet. 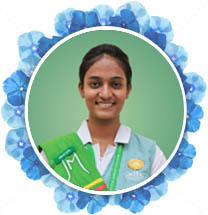 I also look up for support from the young Patricians and guidance from my teachers and the management. So with the view that leadership is the capacity to translate vision into reality, I’ll make sure that the onus entrusted to the cabinet members is done to perfection. Leadership is described as “a process of social influence in which one person can enlist the aid & support of others in the accomplishment of a common task.’’ It is all about organizing a group of people to achieve a common goal. To think, plan and act on a problem, is to become a leader. A leader is not a one who has the tag of being a leader but he is one who leads without letting others know that he is a leader. St. Patrick’s has always taken active steps to develop leadership qualities among the students. We need to be effective leaders; centrality of leadership must be the school. In order to inculcate these leadership qualities among the students, we pray:- Lord, there are so many things requiring attention, to be improved or put in order. Help us to be inspired & to inspire others to think of it, to plan & act, to make things better. Help us to being with small things- for which I ask your blessings & guidance. Today when Parents are more concerned and careful regarding their child’s future , They need to be more informed about child’s behavior and performance in her school because this is the place where first block of her foundation is kept .If the foundation is weak the building cannot survive .Keeping this objective in mind E-services have been started in our school . This will serve as a powerful communication medium among teachers, parents and school management to share their views and experience regarding the child concern . Though our school has always kept open its communication channels with parents in particular and society in general but in present era of E-communication, it is needed to have a communication channel which can be used by anyone, at any time from any place for almost no cost. 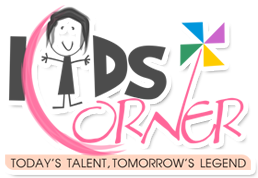 Parents and teachers will be able to shapen the future of future women more efficiently and effectively by regularly monitoring the progress , knowledge of results of students performance in both studies and extra-curricular activities, to their parents will definitely help them to navigate their children on right path. School will also receive proper feedback to reorganize and modify its practices. School as a system should always get feedback from the society in which it operates so as to achieve it’s goals . I personally feel that E-services will be a benefit to all. Let us use this communication channel objectively and creatively to help each other in accelerating the peace of development of Patrician’s.